Nakhchivan Court of Appeal considered the appeal filed by Zeynalabdin Bagirzade, an activist with the Nakhchivan branch of Azerbaijan Popular Front Party (APFP). The information was reported by Zeynalabdin Bagirzade’s brother , who is the head of the APFP’s Nakhchivan branch Yashar Bagirsoy. Bagirzade was arrested on November 17, 2015. He was charged under Article 315.1 (resistance to a representative of authority) of the Criminal Code. However, during the trial, it turned out that the charges brought against him had been changed to Article 315.2 (resistance to a representative of authority, with use of violence that is dangerous to life). 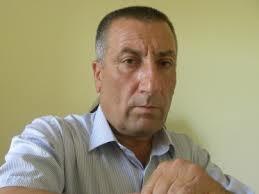 On February 02, 2016, Babek District Court sentenced Bagirzade to 8 years in jail. According to Yashar Bagirsoy, Nakhchivan Court of Appeal upheld Babek District Court’s decision on Zeynalabdin Bagirzade’s case.